Hey! Maybe it’ll make sense to support fenced code blocks (```) as a text shortcut for Preformatted paragraphs? 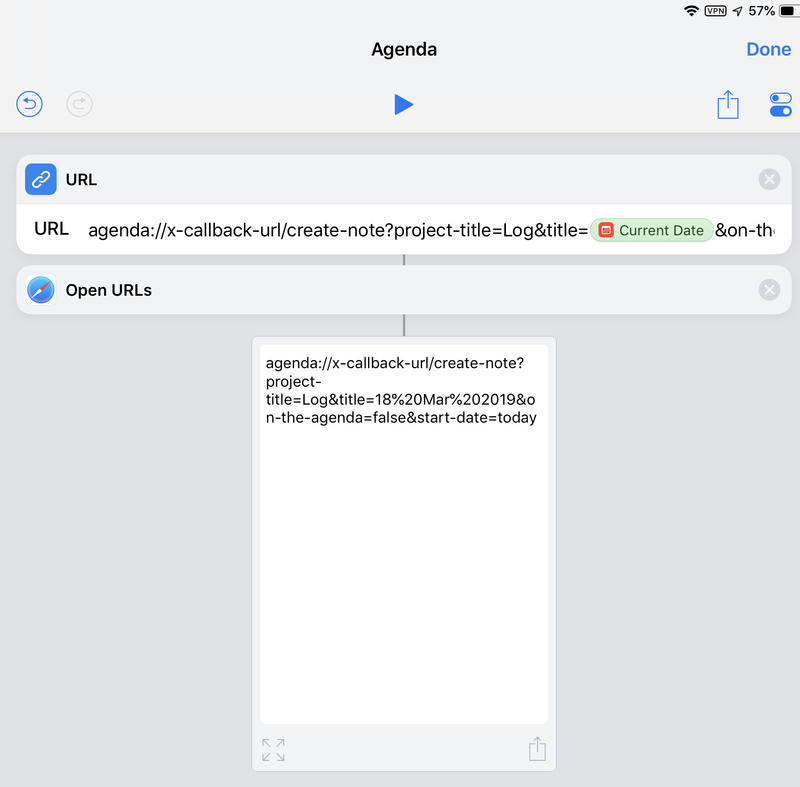 After I missed an appointment for the first time I knew I needed a new way to track things… Enter, Agenda! Really liking this so far and when I made up for that missed appointment, I had created a project for it. The “notes” in that project have moved to projects themselves. I do not see a way to convert a note to a project. Is there a way? Good old copy and paste works but I can see this happening a lot for me since everything starts as an “inbox” note…. I do not see a way to convert a note to a project. That’s indeed not possible in a single click at the moment, we have some ideas in this direction, stay tuned. New user. I’m sure this has been asked but I don’t see it. Are handwritten notes via Apple Pencil an available option.? Really small detail, but is there any easy way to enter a line (I like to separate text within my notes)? Not at the moment but we’ve seen this request a few times indeed. Hello I’m a new user and I can’t find a way to undo actions like typing or erasing the text of a note. For example if I write a long paragraph and accidentally I delete it how can I get it back? The upcoming 4.1 update will ship with major improvements to undo, it’s currently in beta and should be available to all within the next few weeks. Note that on iOS, we just use the standard “shake the device” to undo. We have plans to add buttons in future. Also would love to have some audio recording support or integration with Just Press Record. Agree, audio would be nice. Probably down the track. For now I would say just record with QuickTime and add after that (or Just Press Record). You can’t directly do a block quote, but body text is indentable, so you can do something very similar. Just tab to indent, enter the quote, and shift-tab to outdent. I played with shortcuts a bit, I got confused that agenda just seemed to have a show/create action and that was it. Then I discovered callbacks but that wasn’t right either - I could only get the title to be 18 (spaces seem to be an issue). Turns out you need URL’s instead! Right—wrapping the text in a URL action seems to encode URL-unfriendly text characters, like spaces, in order to make it work.